In this paper we have addressed issues of monitoring exogenous processes. We present the observed parameters and monitoring methods for different types of exogenous processes. Keywords: exogenous process, monitoring, monitoring method. GOST 22.1.06-99. Safety in emergencies. Monitoring and forecasting of hazardous geological phenomena and processes. General requirements – M.: 1999. Sharapov R.V. Application of information technology for modeling emergency // Bulletin of Perm National Research Polytechnic University. 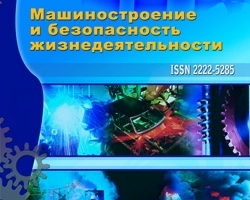 Environmental protection, transportation, life safety, № 2, 2011. – P. 162-167. Sharapov R.V. Review of approaches to modeling emergency situations //Engineering industry and life safety. 2012, № 1. – P. 39-41. Monitoring of exogenous processes, №2 (12) 2012, Sharapov R.V.